Telugu Film Industry Pays Tribute To Comedian Gundu Hanumantha Rao. Comedian Gundu Hanumantha Rao, known for his iconic character in the TV serial Amrutham, passed away on Monday morning at the age of 61. He breathed his last on Feb 19th 2018 around 3.30 AM at his residence in SR Nagar, Hyderabad. 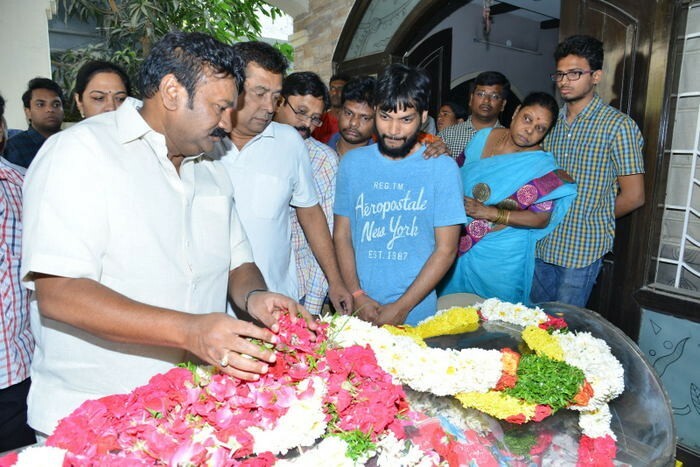 MAA Artists Associations members and other actors came to pay their last respects to Gundu Hanumanth Rao.